Perfect for napping... on the moon! Humans have sent alot of weird stuff into space. First, they sent a dog, and then they sent monkeys. There's a countless amount of space junk floating around up there. But what we want to know is when is NASA gonna send some babies into space? Obviously we'd send their mom, too, we're not monsters! We just think that there's a ton of interesting stuff to learn about babies living in space, like can they sleep through the night in zero gravity? Spittle will conveniently just float away! Freeze dried ice-cream flavored formula? Yes! Come to think of it, this sounds like an amazing reality show. If a TV producer is reading this, please get right on that! 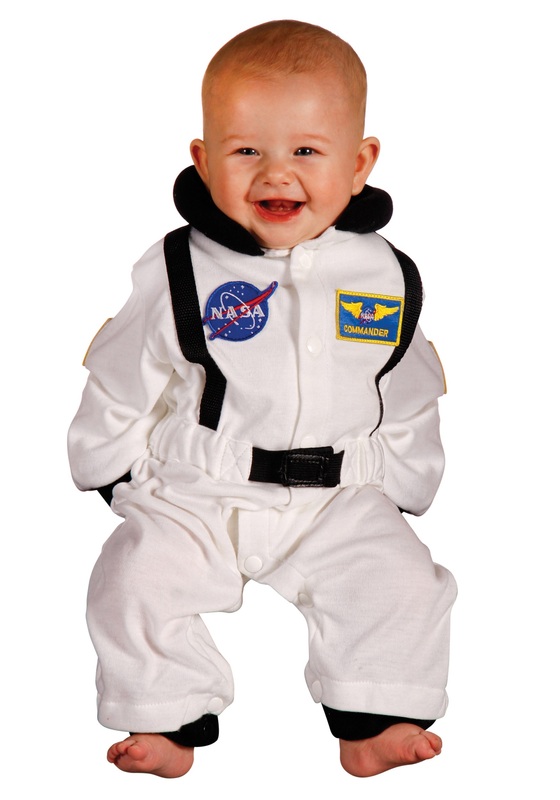 Shoot a pilot using this adorable Infant Astronaut Costume to get an idea of the visuals. "Space Babies" will totally be a number one show. You heard it hear first.